Tribal communities lag behind the national average on several vital public health indicators, with women and children being the most vulnerable. Across the continuum of care, women in tribal communities have poorer access to adequate maternal health services than the rest of the country. For instance, only 10% of tribal women meet the recommended protocol of four antenatal visits and 18% have institutional deliveries. As a result, more than half of all maternal deaths in India occur in tribal communities. Similarly, the Infant Mortality Rate (IMR) among tribal children is 30% higher than the national average and 61% higher for tribal children under-five. As India increasingly focuses on improving the status of its mothers and children, addressing the needs of tribal women and children will be indispensable to moving the needle on any national and global health indicators. 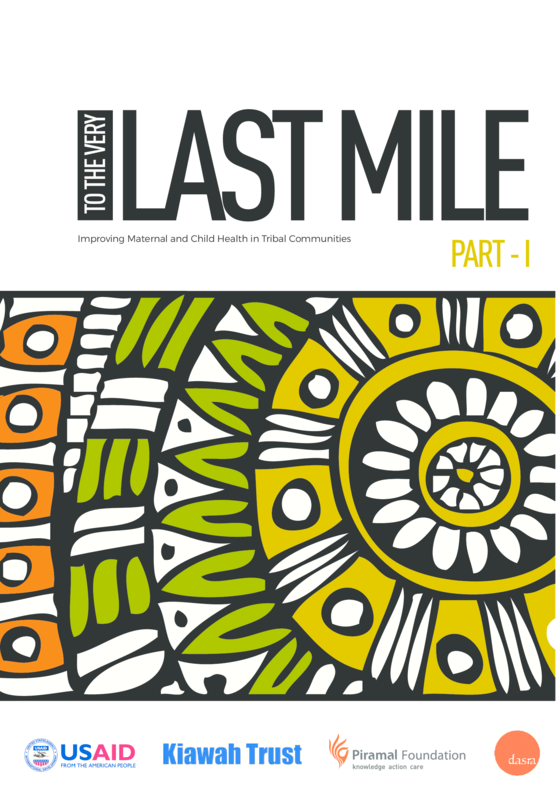 Dasra's report, To The Very Last Mile, discusses the challenges faced by tribal communities in their quest for adequate and accessible maternal and child healthcare. It also presents solutions to overcoming these challenges, alongside the work of 8 high-impact non-profits for funders' consideration. Copyright 2016 Dasra, USAID, Kiawah Trust, Piramal Foundation.